Which Produces Better Tasting Food: Charcoal or Gas? This seems to be an age-old question and, to be honest, there might not be a definitive answer. There is, however, some strong evidence to point you in the right direction. Though a few people might debate it, charcoal produces better tasting grilled foods most of the time. Not to say that some things taste worse, just some things don't taste any different. Good Housekeeping magazine did a blind taste test and found that people could not tell the difference between hamburgers or skinless chicken breasts cooked over gas or charcoal. However, people could tell the difference with a steak. Their conclusion was that the longer you grilled something the more the flavor of the fire gets into the food. The mechanism involved here is the smoke. Charcoal, even though it is just smoldering, produces smoke. 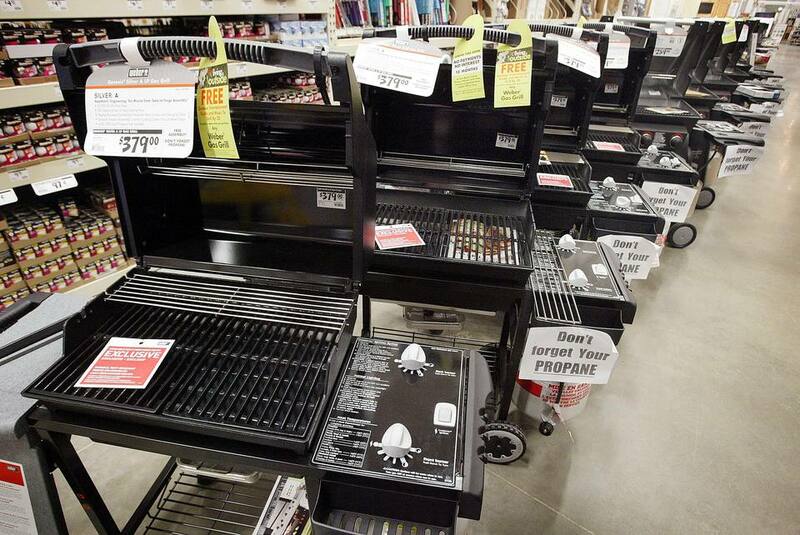 Gas grills use a nice clean fuel that doesn't really produce smoke. Manufacturers will tell you that their patented vaporization barriers produce smoke from dripping grease, but do you really want the flavor of burning grease in your food? It doesn't do a lot for the flavor of the things you grill. The kind of smoke that improves the flavor of the food is the kind you get from wood smoke. You can add wood chips in a box to produce smoke but to pass that flavor to the food you need to bath it in smoke. Since charcoal produces some smoke and heat, the two are mixed together. As the food absorbs the heat it also takes in the flavor of the smoke. So if you really like the flavor of foods, particularly things like a good steak, cooked over an open flame then you want to use charcoal. However, you also need to make sure that the smoke you are getting from the charcoal is good smoke. Commercial charcoals with special additives for easy lighting and cheap charcoal made from a little sawdust and a lot of glue doesn't exactly have the best flavor producing smoke. You want to use a good charcoal or mix your charcoal with chunks of good hardwood or you can buy lump charcoal that is actually made from real pieces of wood and not just sawdust. You should also always keep a good clean grill. Buildups of ashes, burned up grease and other stuff will cause the smoke produced to leave a strange flavor on foods. So in this light if you are going to use cheap self-lighting charcoal in a dirty, rusted grill then go with gas. If, however, you are serious about the flavor of grilled foods and are willing to put the effort into the process, then a good charcoal grill might just be what you need.